Buy Yvoire Volume Plus Online | Dermal Fillers Low Cost Today! Yvoire Volume Plus treats age-related facial volume loss and enhances lips by creating volume in the dermal tissue. In doing so, this skin filler corrects severe facial wrinkles and folds, fills in hollow areas, and shapes the lips. Highly versatile and adaptable, this product is a must-have for any aesthetic doctor. This formulation contains 0.3% lidocaine for pain relief during the injection. Yvoire Volume Plus is manufactured using HICE Technology, which stabilizes high concentrations of hyaluronic acid with the minimum number of modifiers. This results in a highly elastic filler that has a lower concentration of cross-linking agents when compared to other volumizing dermal fillers. When implanted into the skin, this product restores volume that has been lost through the aging process. This skin filler’s large particle size makes it suitable for filling moderate to severe skin depressions, mild facial lipoatrophy, and other conditions requiring facial volume restoration. Yvoire Volume Plus can also be used for lip augmentation. This product is supplemented with lidocaine for added patient comfort and comes in a specially designed syringe for the injector’s convenience. 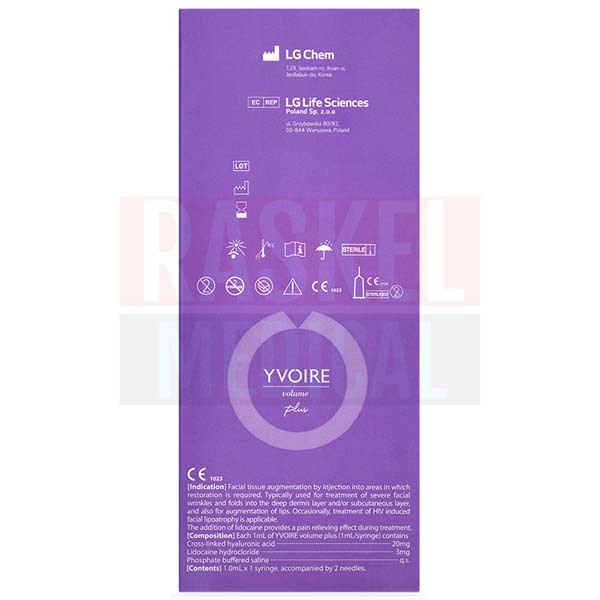 Yvoire Volume Plus was developed and is manufactured by LG Life Sciences. Yvoire products are made in Europe. Yvoire Volume Plus is a sterile, transparent, colorless gel made of cross-linked hyaluronic acid (22mg/ml) and lidocaine (0.3%), with an average particle size of 900µm. The use of correct injection techniques is crucial to achieve the desired outcomes. Only authorized personnel in accordance with local legislation may administer Yvoire Volume Plus. Ensure the patient is aware of the indications, expected results, precautions and potential side effects associated with Yvoire Volume Plus treatment. Assess if additional pain management is required, especially if treating the lips. Prepare the area to be treated by cleansing and disinfecting it with a suitable antiseptic. Prepare the syringe for injection by affixing the supplied needle securely, as per the manufacturer’s instructions. Inject Yvoire Volume Plus into the deep dermis and/or subcutis, or into the submucosal layer if treating the lips. After administering this skin filler, massage the treated area gently to mold the product to the surrounding tissue. In a clinical trial, the effects of Yvoire Volume Plus lasted throughout the duration of the study (26 weeks). The duration of results for this filler will depend on the patient’s age, their skin condition, and the area of treatment. Store Yvoire Volume Plus at room temperature between 2 and 25°C, in an airtight container. Protect from light. If the product has expired, do not use. The injection process may produce reactions such as swelling, bruising, redness, pain, and tenderness at the injection site. These effects should dissipate within a few days post-injection. Rare but more severe effects include the formation of nodules, inflammatory reactions, infection, discoloration, and papules. If symptoms persist or worsen, or new and unexpected reactions arise, your patient should seek emergency medical attention. 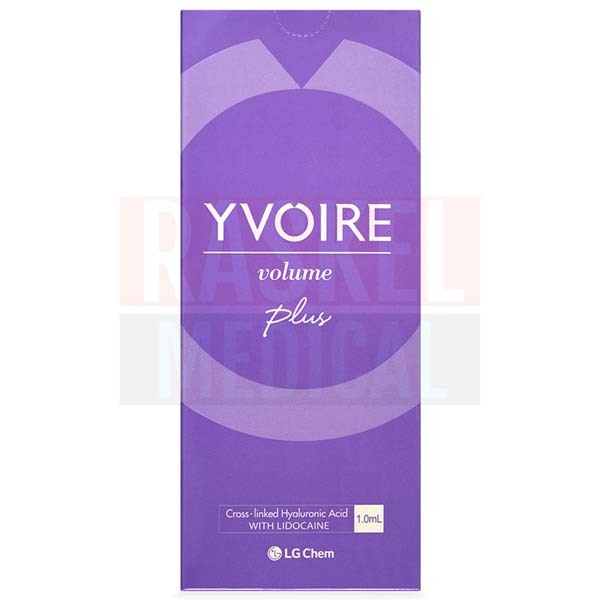 Which skin types is Yvoire Volume Plus suitable for? Yvoire Volume Plus can be used on all skin types but is particularly suitable for aging or mature skin. Yvoire Volume plus is not created with animal products. As the hyaluronic acid in Yvoire Volume Plus is of non-animal origin, an allergy test is not necessary. 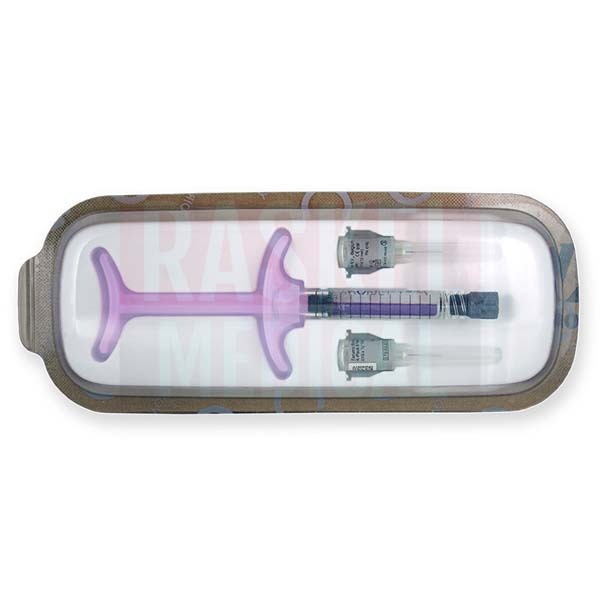 This skin filler is supplied in a unique syringe designed with an ergonomic grip and push rod for ease of use and precision. Other products in the Yvoire range of dermal fillers include Yvoire Classic, Yvoire Contour, and Yvoire Hydro. Classic and Contour also comes in formulations with added lidocaine, indicated by the addition of the term “Plus” to the name.